Grounded in the realization that the efforts by the Police, STF and tri-forces may not be sufficient in combating the drug menace, school children, public officials and ordinary citizens alike took a pledge today to play an active role in eradicating drugs from the country. Citizens across the country took the Bakmaha Divuruma, a national pledge to eradicate drugs and to confirm their commitment to control and eliminate drugs this morning. 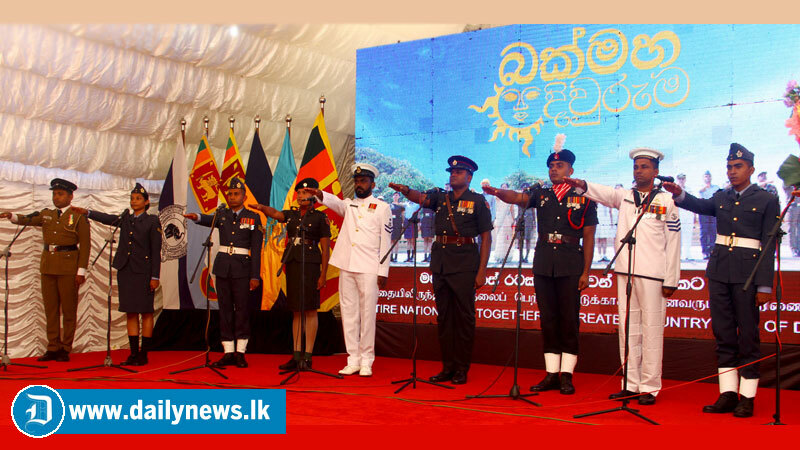 The inaugural event was held under the patronage of President Maithripala Sirisena at Independence Square in Colombo, with the participation of the Prime Minister Ranil Wickremesinghe and the Speaker Karu Jayasuriya, ministers and members of parliament.